when i was nine i noticed a stray dog roaming the neighborhood. it looked just like my neighbor's, but no one was home. i took the dog by the collar and opened their front door and let the dog inside. 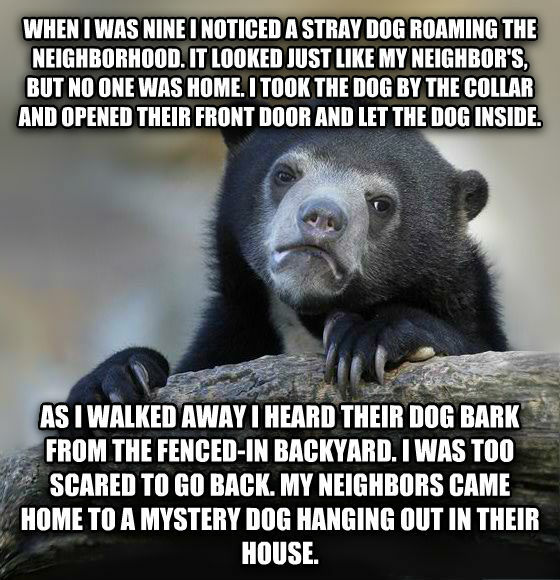 as i walked away i heard their dog bark from the fenced-in backyard. i was too scared to go back. my neighbors came home to a mystery dog hanging out in their house.